What did her Facebook addiction look like and how many hours a day did this devoted mom spend on Facebook? Find out the answers… including advice for how to reduce social media & digital addictions to protect you and your kids! 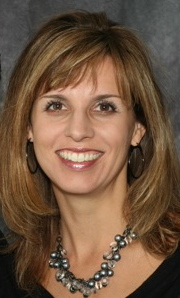 Anne Wiggins is Channelmom’s Behavior Makeover expert and co-author of Parenting From The Heights. Anne Wiggins discusses her past Facebook addiction in order to help other parents. Will one of your child’s strongest memories be of the top of your head? Anne warns not to let your face be so glued to a screen that your kids’ most common view is the top of your head! Too much technology can threaten your parenting skills and your child’s upbringing. Get more great advice and insights from Anne Wiggins and Linda Williams in their book, Parenting From The Heights and DVD, How-to Parenting. Plus more of this interview uploads soon to CM Podcasts!